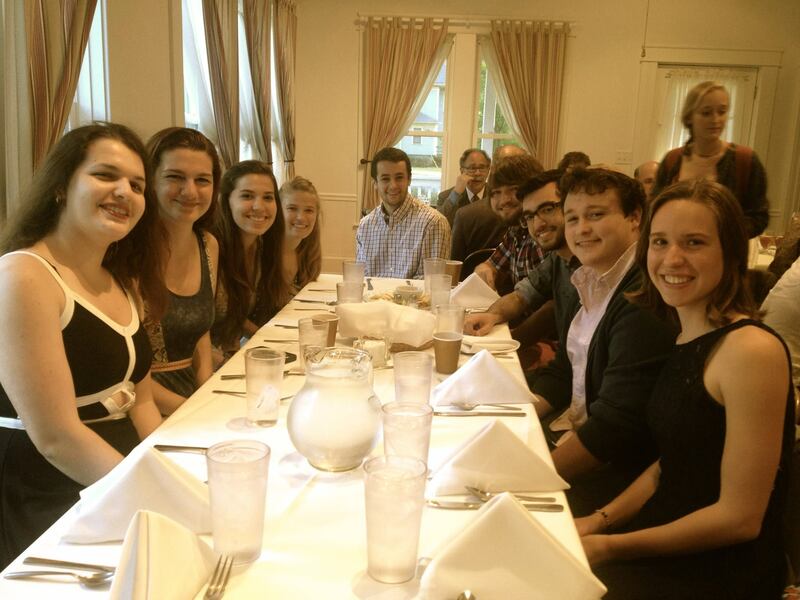 A program happens every Friday evening at Kenyon Hillel in observance of Shabbat. There is a consistent gathering of students at 5:30 PM on Friday evenings to welcome Shabbat in a number of different forms. It could be Kabbalat Shabbat services, Shabbat dinner, a community service, it could be a Shabbat walk, touring a gallery exhibition at the Gund Gallery, etc.